Roof Cleaning Services Company in Everett, WA, Bellevue, Seattle, and Surrounding Areas. We clean roofs with an air compressor as air is the best and fastest way to get the job done on a roof, guaranteed. This process is necessary to avoid damaging the roof because water and chemicals can damage most roofs. Roofs are blown free of debris with high pressure air – not with a leaf blower- without damaging or removing any roofing material , after that, roofs are chemically treated to kill any moss, algae or fungus, including roof moss removal, so our waterless roof cleaning is the guarantee to give the homeowner the best results you imagine.!!! 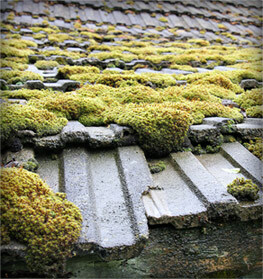 Proper roof moss removal helps maintain the durability of your roof. Roofs have their own set of problems, including mildew, moss, fungus and algae which grow into the surface of your roof shingles, destroying them far before their expected life is reached. Left unprotected and untreated, this will spread to other surfaces of your home over time. Let J & J Roof Cleaning Service help you maintain the life span of your roofs. Roof cleaning is our business, so schedule your Free roof cleaning Estimate today! Our process is 100% Environmentally friendly and you won’t have to worry about dangerous chemicals making their way to your beloved pets. We know these things are as important to you as they are to us. Most importantly our process leaves NO MESS LEFT BEHIND!